Parents have a legal obligation to provide for their children’s safety and wellbeing. In addition to providing care, though, parents are also often responsible for the actions that their children take. In the event that a teenager causes a car accident in which you are injured, their parent(s) may be held liable for damages depending upon the circumstances and background surrounding the accident. First, personal injury protection (PIP) insurance from your vehicle will cover some medical bills and some lost earnings. Second, the liability insurance of the vehicle that the teenage at-fault party will typically pay for damages such as pain and suffering. However, a parent of a teen may be held responsible in some situations. If you’ve been in an accident caused by a teenager, here’s some information about how to recover damages, and against whom you should file an insurance claim and law suit. For more clarification, the attorneys at Burns and Jain can help. 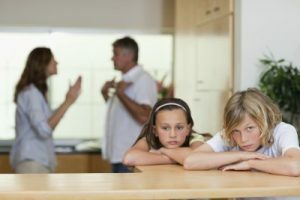 A parent may be held liable for their minor child’s actions under both statutory law and common law, or case law, in Massachusetts. First, a parent who is the owner of a vehicle is responsible for the acts of his or her child while driving that vehicle. A parent may also be held liable for the damage caused by their child’s car accident if the parent knew, or should have know, that their child was prone to engaging in reckless or careless behavior, and should have prevented them from driving as such. If a child demonstrates a propensity for danger, and if the parent fails to take action to prevent the child from driving to the extent that would be considered reasonable by an average person, then the parent may be held liable based on negligence. For example, if a child had previously received a conviction for driving while under the influence of alcohol, it could be argued that the parent should have taken action to prevent the child from operating a motor vehicle again, or from drinking while driving. More likely, however, is when a parent simply knows that the minor has bad driving habits. If the parent does not take action, and the child causes an accident while drinking while driving, resulting in your injuries, you may be able to file a claim against the teen’s parents. It’s important to note that a third party may also be held liable for a teen’s accident. I n the example given above where an accident is caused by a drunken teen driver, the party that served the teen alcohol may be held liable for your injuries under dram shop liability or social host liability. An experienced Massachusetts car accident attorney can help you to explore these liability theories as well as others. An accident caused by a teen driver presents a number of unique issues, including who may be held liable for the accident. Although damages may be limited under parental liability laws, exploring all liability avenues can be advantageous to the recovery of the maximum amount of compensation possible. At Burns & Jain, we have experience in handling parental liability and car accident claims. These accidents may involve multiple witnesses and interwoven relationships. We have the experience working in these situations. To learn more, call us at 617-227-7423 for a free consultation.